Divorce is an emotionally trying time for all parties involved. 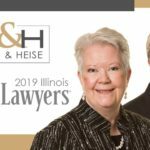 At Bush & Heise, Attorneys at Law, we are sensitive to your needs and provide experienced, compassionate representation for individuals who are going through a divorce. Our goal is to help you navigate your divorce in a cost-effective manner with a minimal amount of angst. We have the skill and experience to handle high-asset divorces involving business valuation and other complex issues. If you are seeking a divorce, we can help. 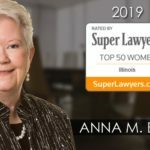 Contact a Barrington divorce lawyer serving Cook, Lake and McHenry counties or call us at 1-847-382-4560 to schedule a free, no obligation initial consultation concerning your situation. At Bush & Heise, Attorneys at Law, we specialize in helping couples come to a divorce agreement through collaborative divorce law. The collaborative divorce process is often less time consuming and less expensive than traditional divorce litigation, and can lead to a more harmonious settlement. As divorce mediators, we can also help you reach a divorce agreement through mediation or alternative dispute resolution. If collaborative divorce or mediation is not the right option for you, we can give you strong representation through the divorce process through traditional litigation in the court system. Our experienced attorneys will represent your interests with compassion and sensitivity. We will work within the law to try and reach practical solutions regarding marital property and other matters that everyone can live with. If children are involved, our law firm can help you with child custody rights and visitation as well as issues regarding child support.